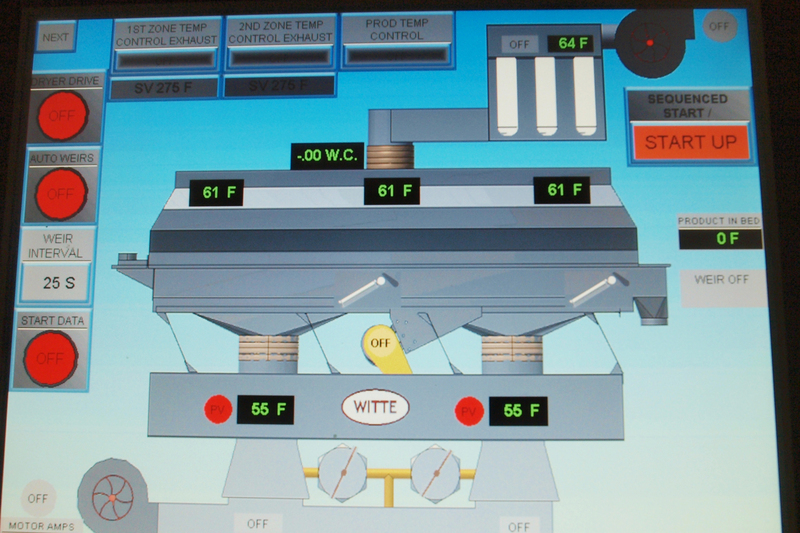 Welcome to the Witte photo gallery. 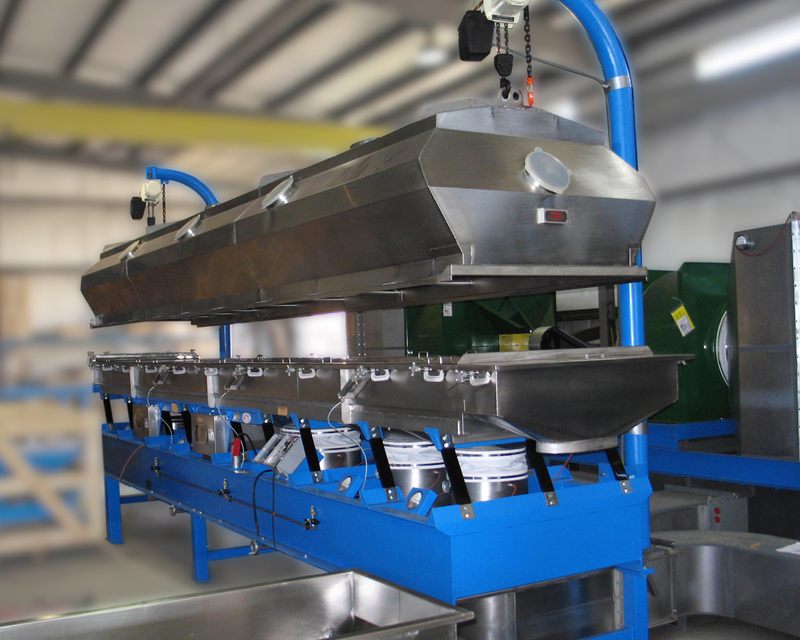 See vibrating fluid bed dryers, coolers, conveyors, classifiers and other process equipment as installed at customer facilities and as they are completed and readied for shipping from our New Jersey headquarters. 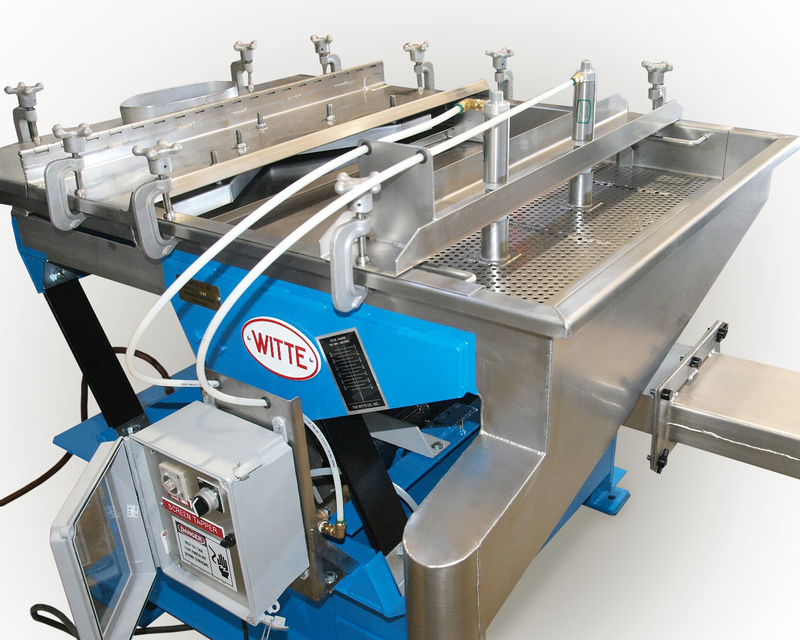 If you would like your Witte to be featured here, just email a photo to TysonWitte@witte.com. 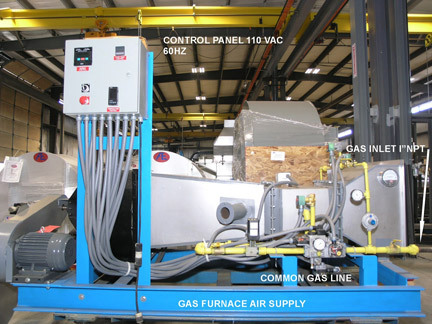 Witte custom manufactures gas furnaces with air supply and controls for each system. 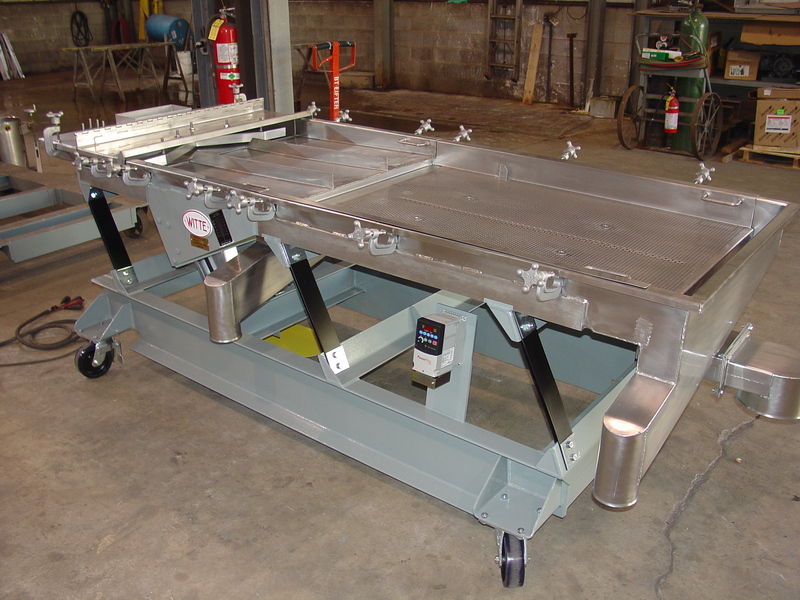 Motorized hoist system automatically raises fluid bed dryer cover for safe, fast, easy access and cleaning. 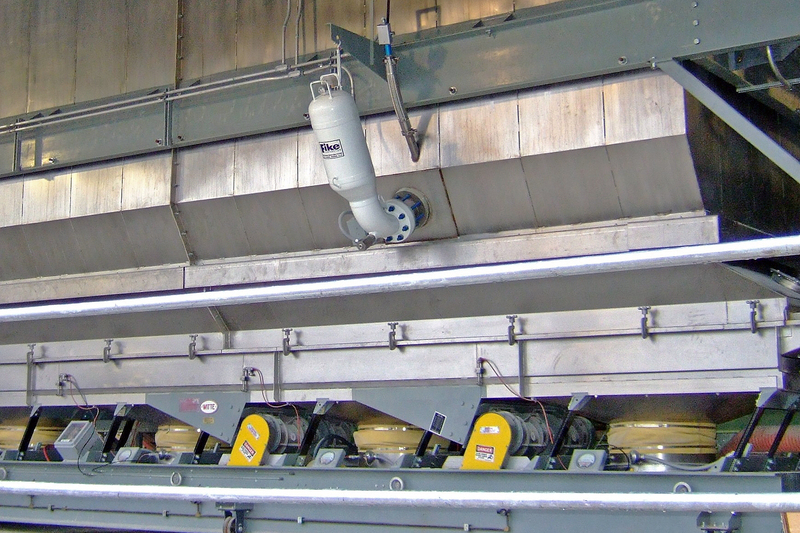 New dust recovery hood captures airborne particles and returns to process for recycling as finished product. 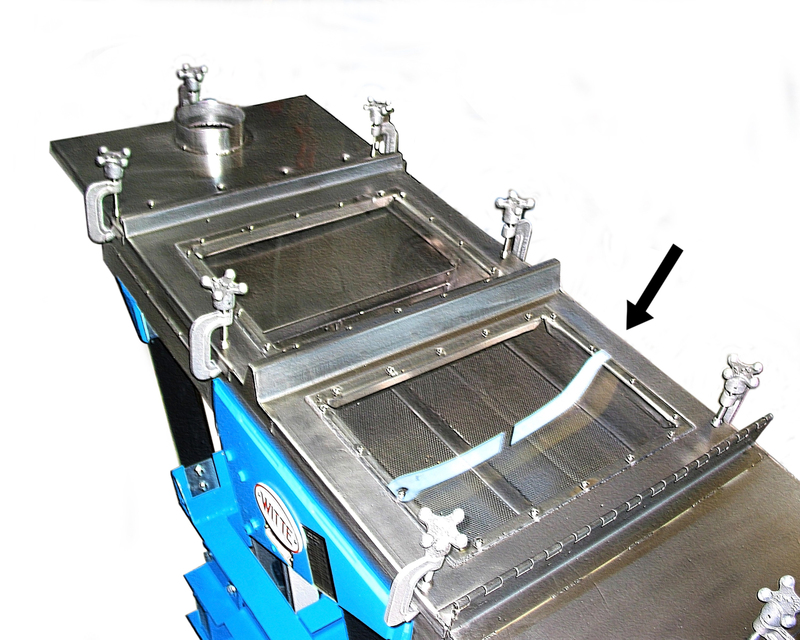 Clear screen covers provide constant view of product in process to detect blockages without removing cover or halting operation. 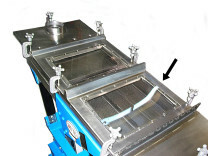 Quick-disconnect classifier discharge invites easy cleaning. 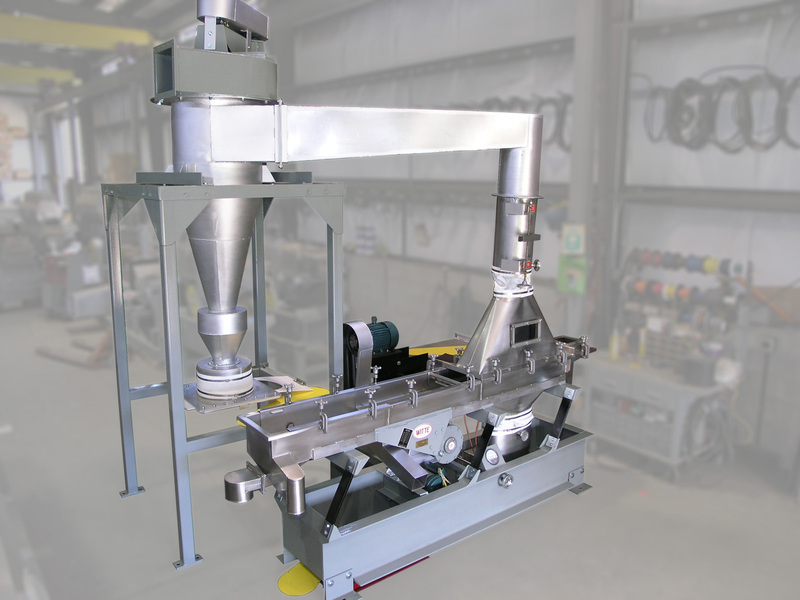 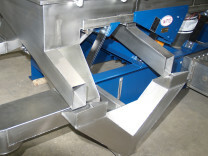 Plastic pellet classifiers feature innovative perforated deck to remove “fines,” prevent blockages, promote line uptime. 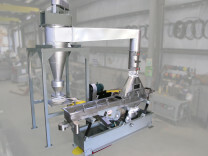 New Auto-Tapper Automatically Frees Lodged Pellets From Classifier. 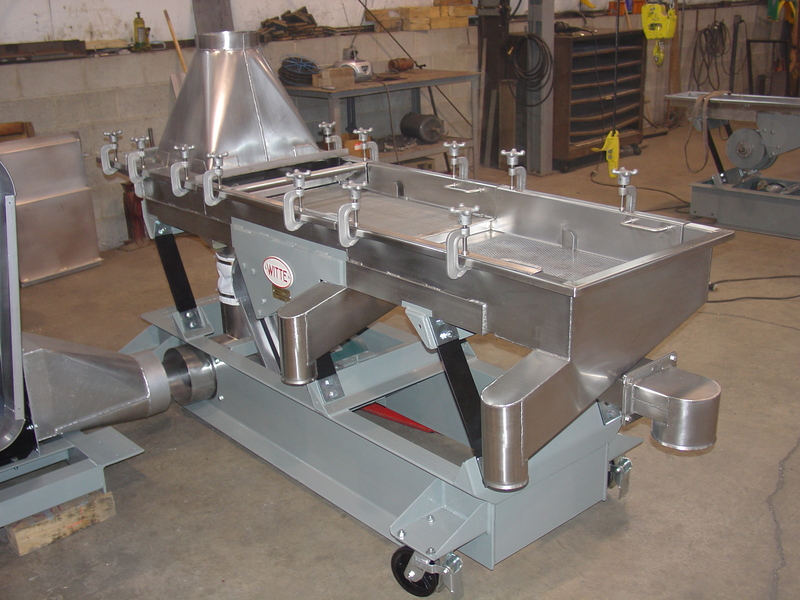 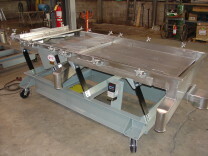 Vibrating screener design permits full internal access, fast disassembly for easy cleaning, changeover. 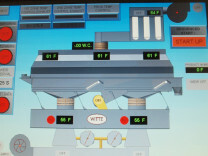 Remote monitoring, control now offered on line of fluid bed dryers, coolers, pellet classifiers. Process equipment manufacturer offers vibration isolators to permit installation on mezzanines, upper floors. 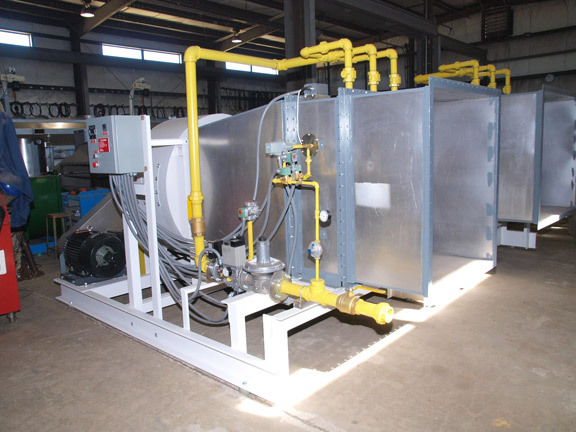 Fluid bed dryers, coolers with automated explosion suppression systems. 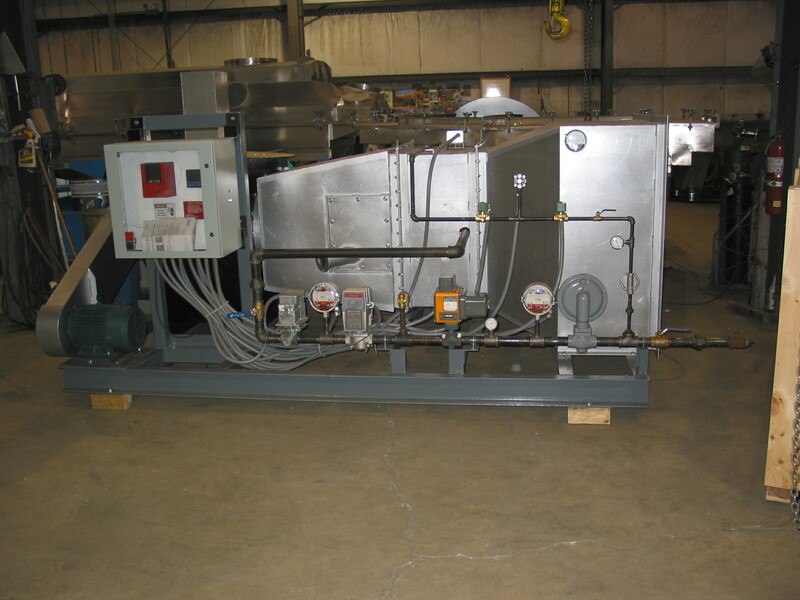 Fluid Bed Dryers Feature Independent Temperature Control Zones. Fluid Bed Dryer Design Allows Complete Cleaning To Prevent Cross-Contamination, Minimize Risk Of Allergen Transfer And Speed Changeover. 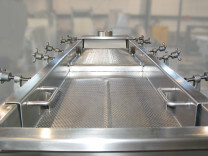 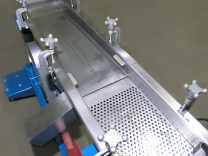 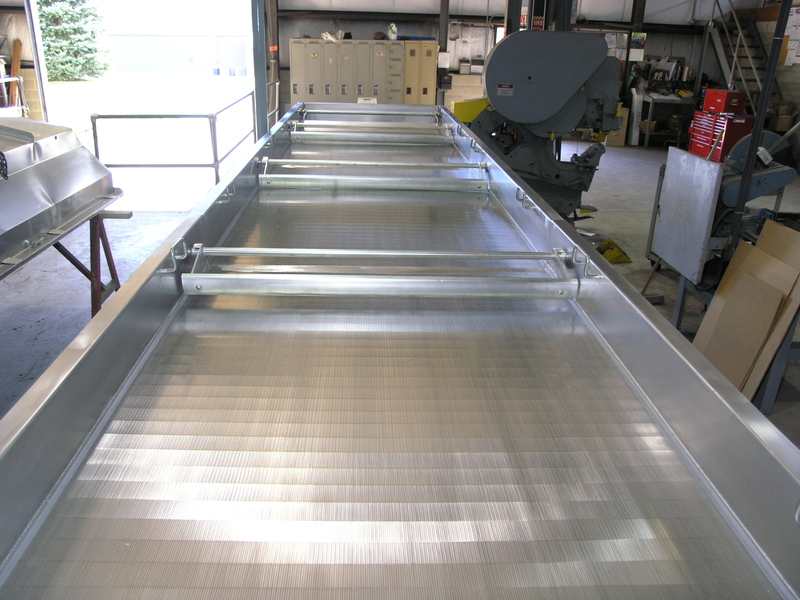 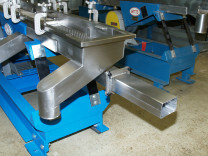 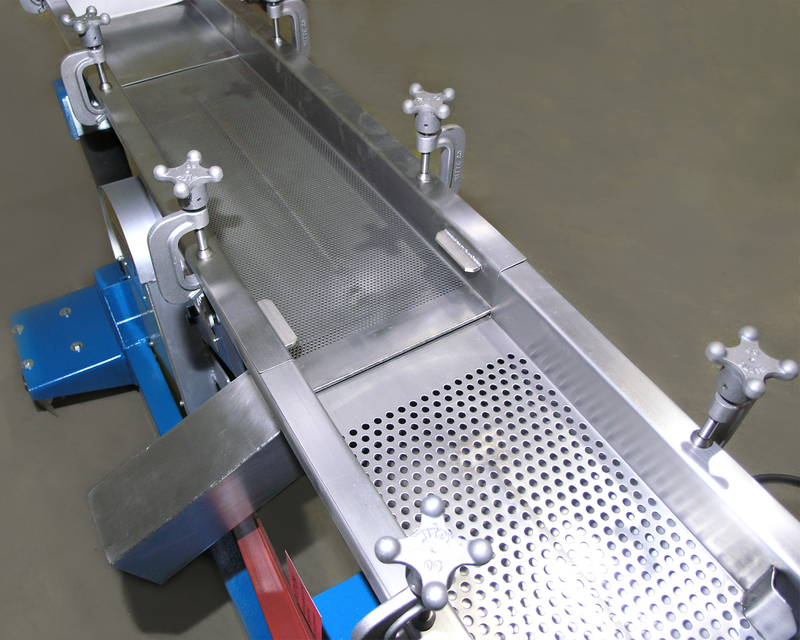 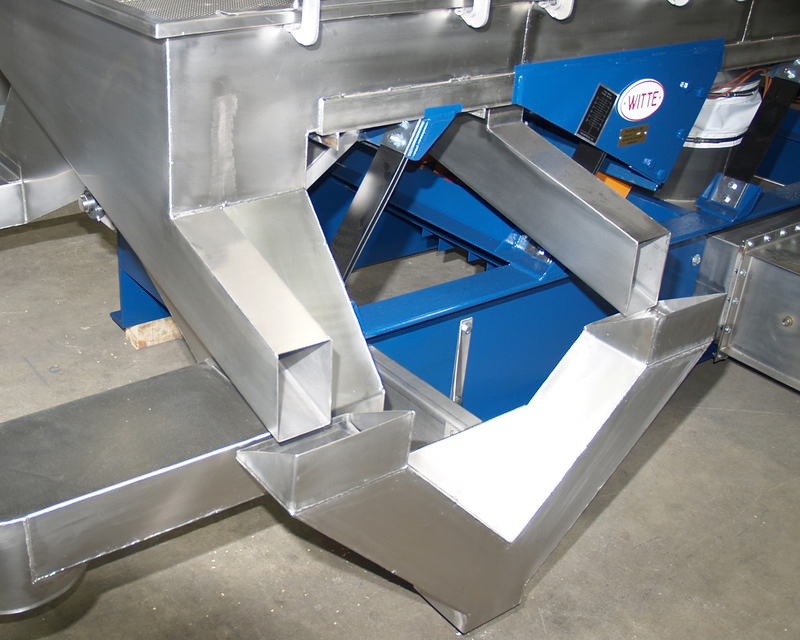 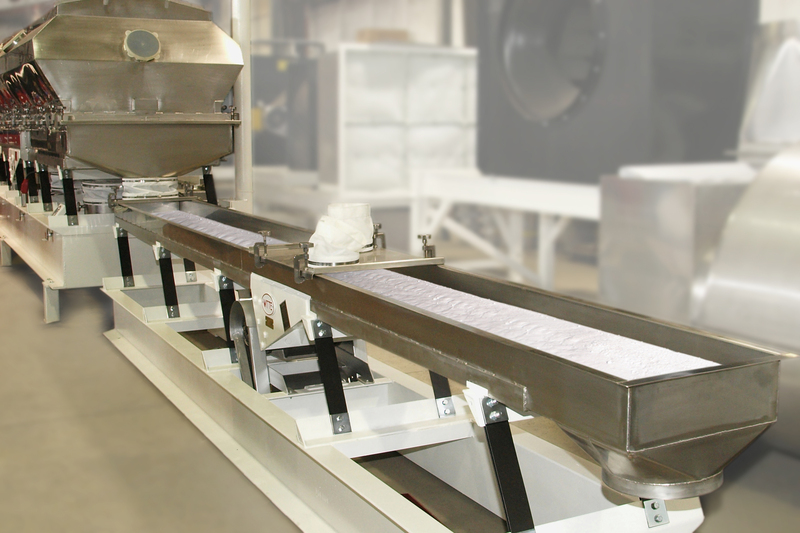 Sanitary vibratory conveyors protect sensitive products from contamination and safeguard particle integrity. 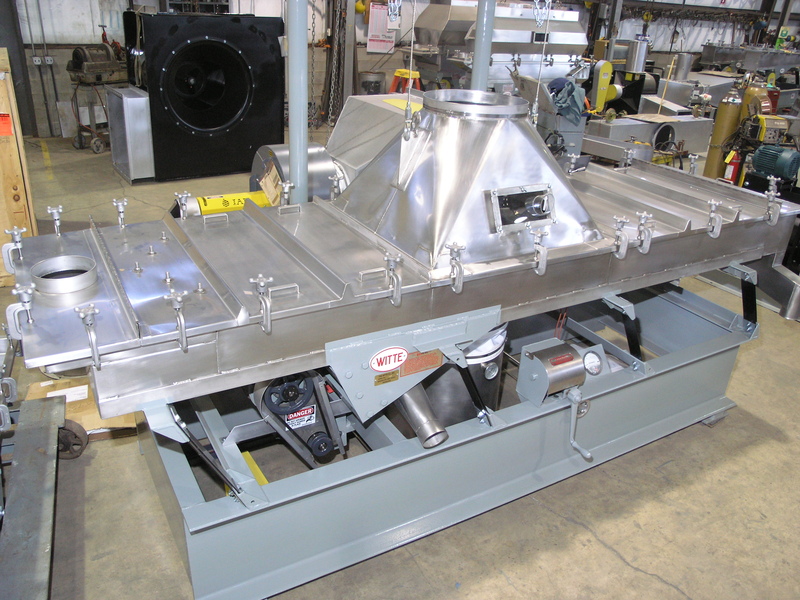 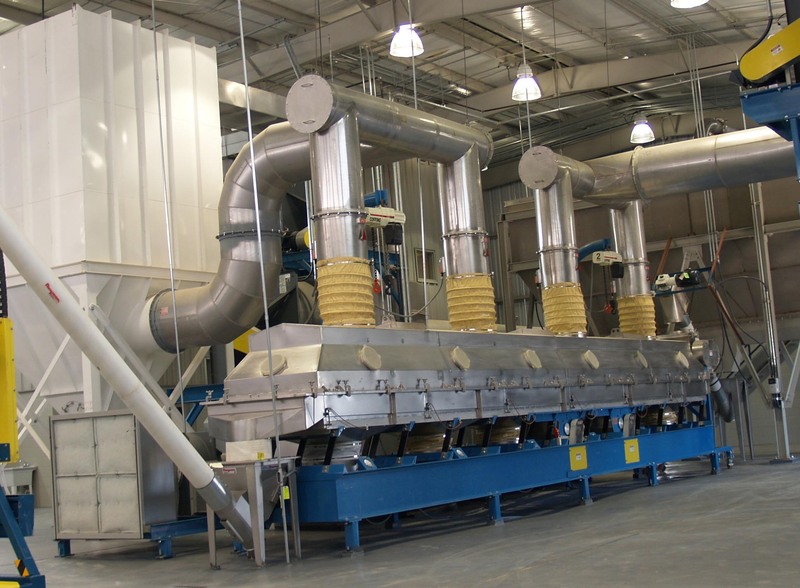 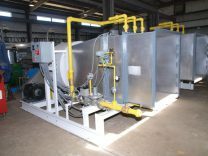 This compact fluid bed dryer for drying specialty tobacco products was Witte-engineered with a natural gas heated air supply and cyclone exhaust. 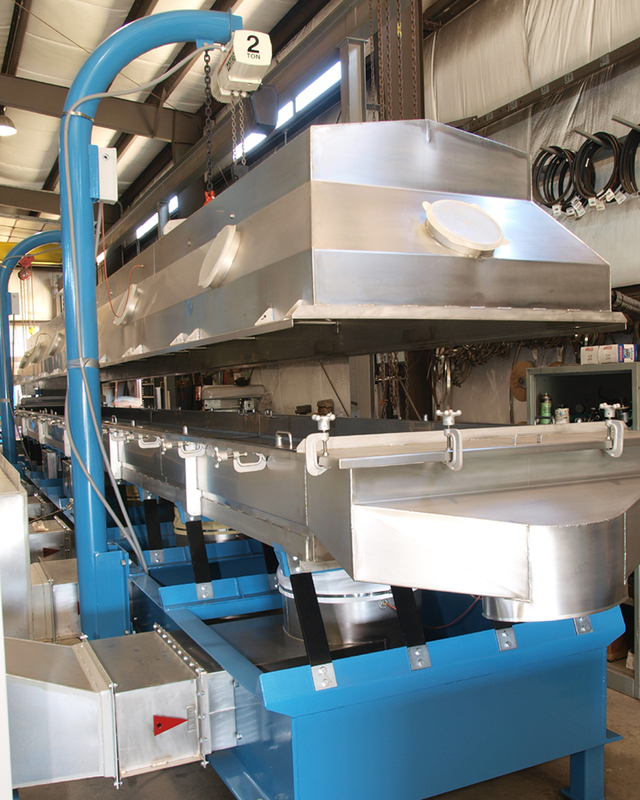 This fluid bed dryer system spans 4′ x 36′ for drying shrimp and crab shells. 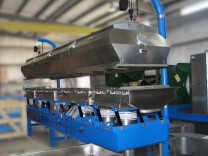 Witte manufactured this drying system complete with all air handling equipment, controls, feed and discharge conveyors. 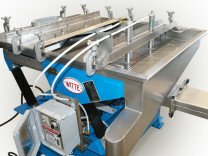 Witte is always willing to work with our customers to come up with design modifications to meet special requests. This is a direct fired gas furnace completely wired, piped and tested prior to shipment. 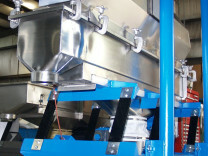 The Interior view of a Fluid bed Dryer, showing the continuous construction of the conveying surface. 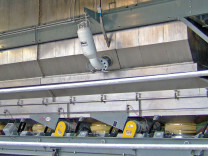 Also shown are the product retention control weirs, which are automatically timed. 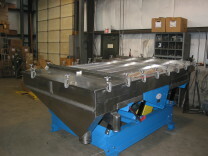 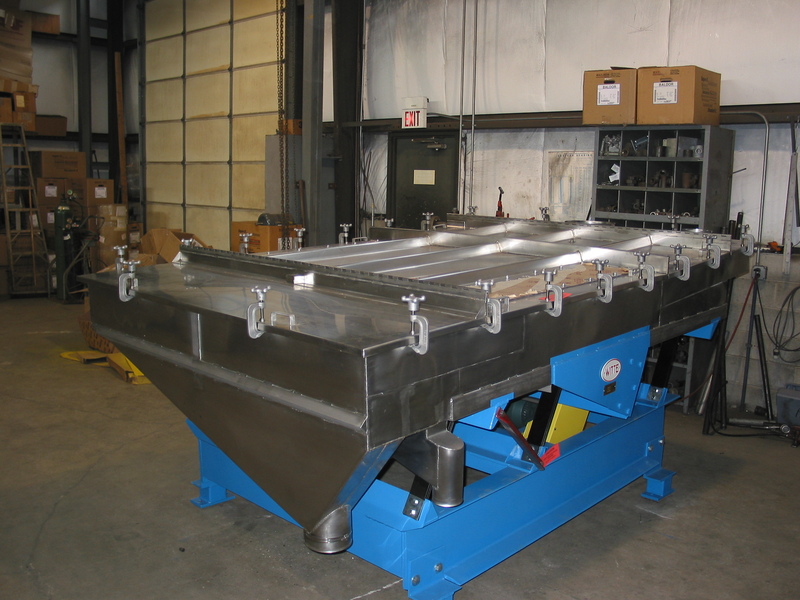 This is the discharge end of a 4 X 24 FT. Fluid Bed Dryer for table salt with vibrating conveyor. 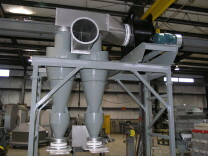 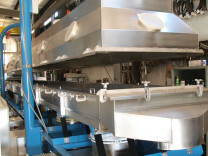 Shown is another example of a Fluid Bed Dryer with integral bag collector for mineral product. 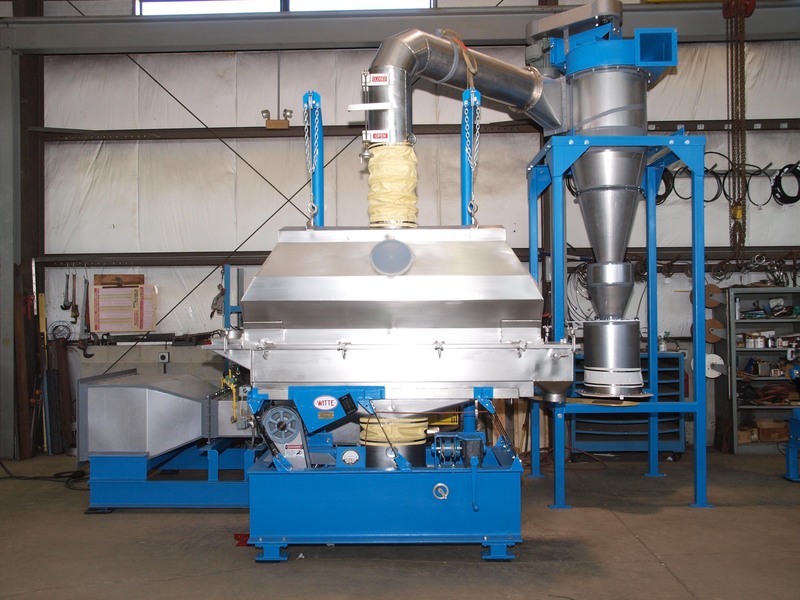 For products of very fine particle size, we offer our Fluid Bed Dryers and Coolers with an integral bag collector (directly over top) to keep all the product contained within. 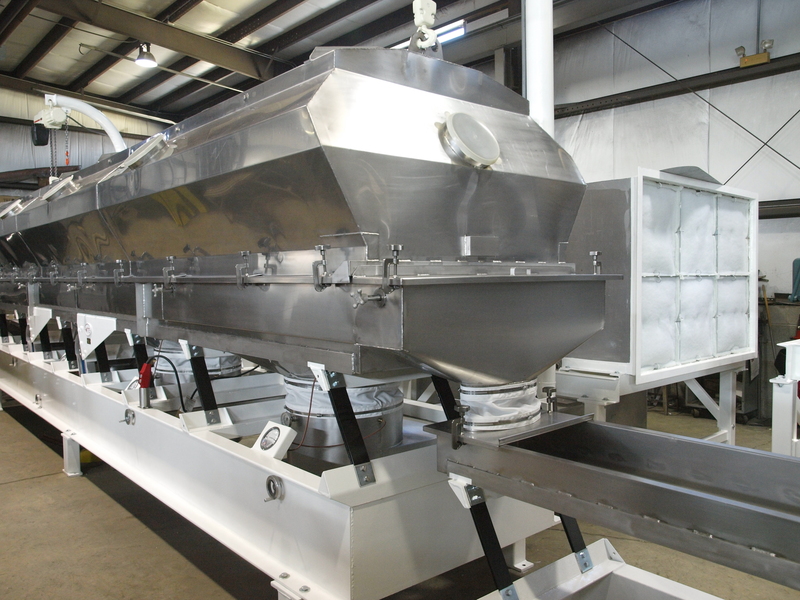 A Dual cyclone exhaust system completely assembled before shipment. Shown is a 48 IN. 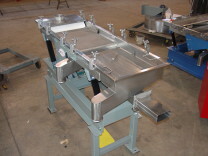 wide 400 series shown with full screen covers. 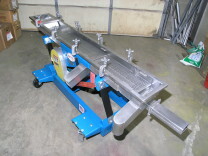 A 12 IN. wide 400 series unit is shown with our integrated cyclone and fan for efficient cleaning of exhaust air. 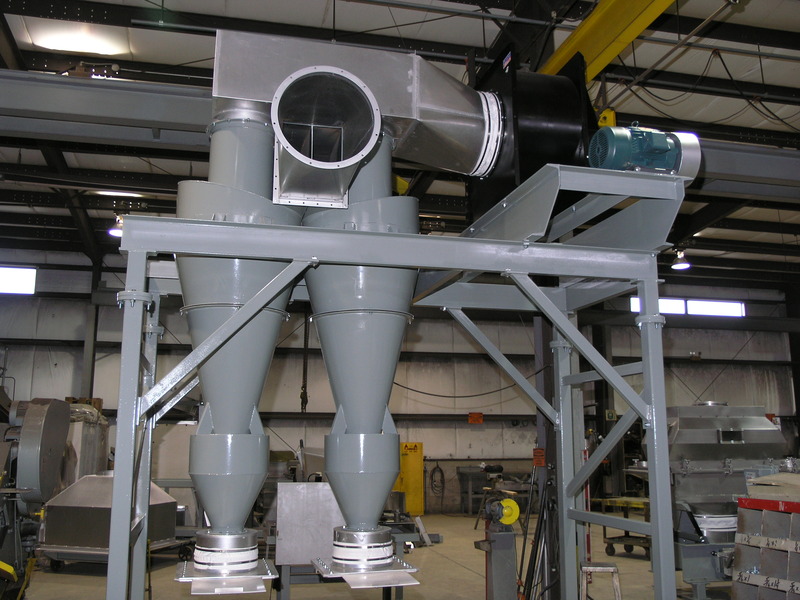 This is a small example of a 400 series air classifier for efficient removal of ultra fines, fines and oversize particles. Designed for over 20,000 #/hr of capacity, our 72 IN. 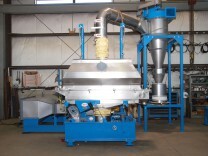 wide 200 series plastic pellet classifier. 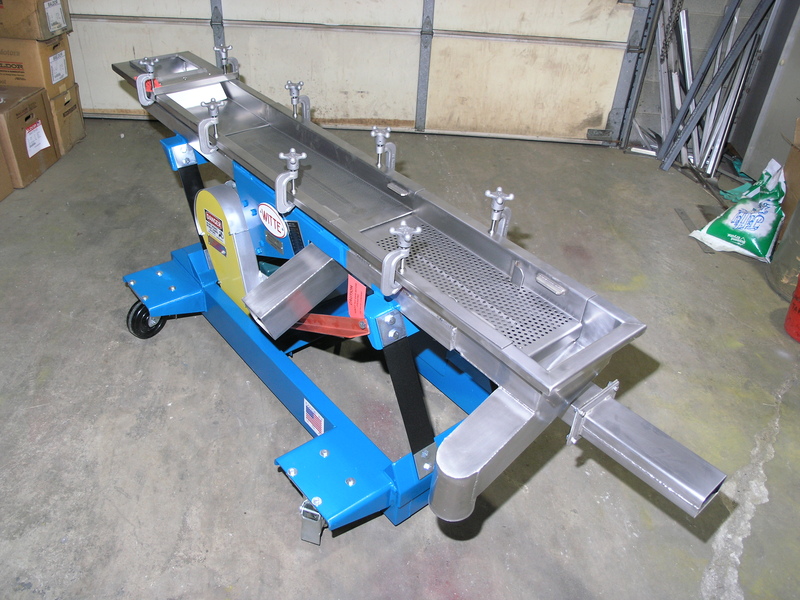 This is a 48 IN. 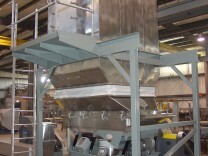 wide 200 series plastic pellet classifier with perforated decks for both fines and overs separation. 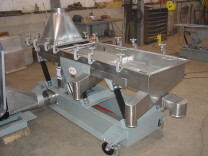 Pictured is a 10 IN. 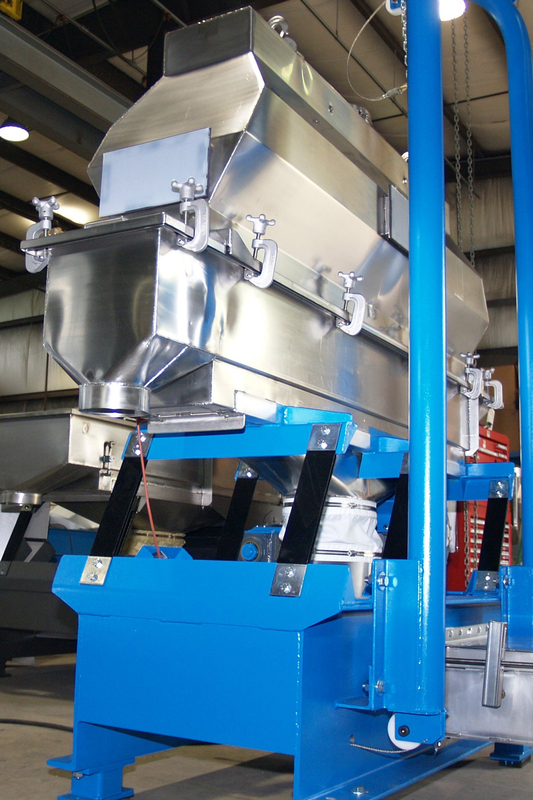 wide 200 series plastic pellet classifier mounted on casters for mobile placement. 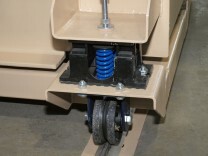 Shown is a 22 IN. 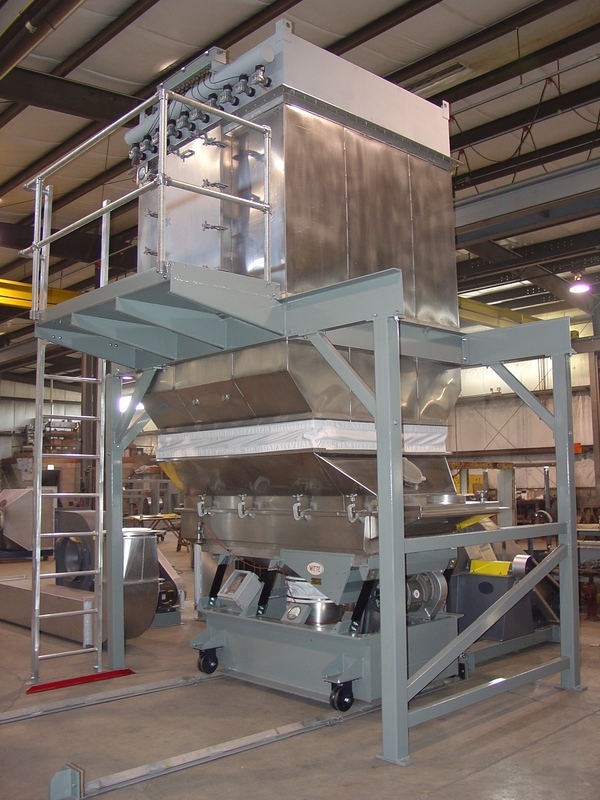 wide 200 series plastic pellet classifier with extended legs to raise overall elevation.